In Pennsylvania a truck can be registered as a farm vehicle. The truck must only be used for farm business and can be on the road without a tag, as it has a sticker that replaces it. Driving to the store for coffee does not qualify as farm business, but getting farm gear does. 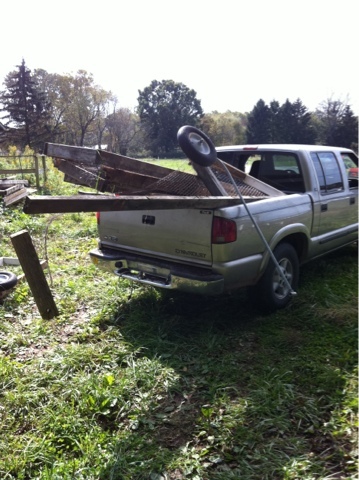 This truck was used for (in the last 2 days) for hauling a truck load of wood from our local saw mill for the hoophouse. For pulling a pen to the neighbors, hauling the parts back after the thing fell apart and then pulling another pen over that survived the trip. 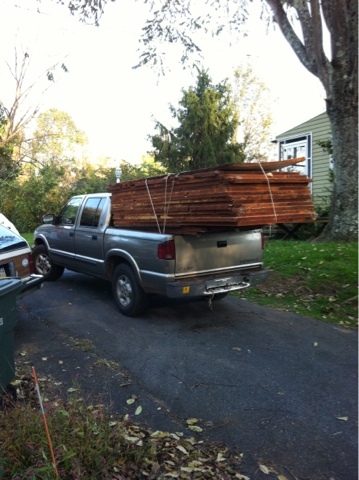 It was used to pickup an over the top load of windows and insulation. And hauling a full load or two of compost. My truck is a regular, road worthy vehicle. In the past 2 days vegetables, eggs, flour, buckwheat and chicken was hauled in mine. 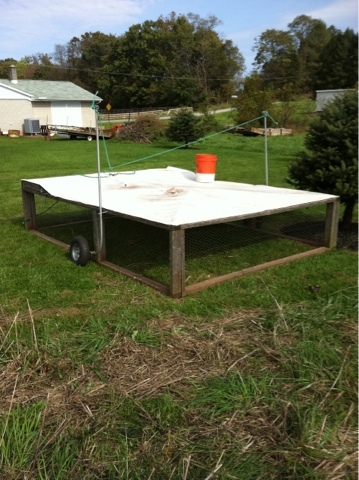 The bed was filled with acorns hauled from friends yards. And emptied out for the pigs to eat. My truck has regular tags, so it is the one we can take to get an ice cream cone. While that seems like official farm business to us, it is not to the eyes of state officials, so Homer's truck does not usually make that trip. Can't really justify the trip to the police.